British interest in the island began to form in the 1880s and it was spurred by two factors. First of all, there was an increasing concern at growing German commercial development in the Pacific during those years. The Germans had started staking claims along many Pacific islands and seemed to be taking an interest in one of the last unclaimed territories in the region. The second factor was the growing desire of certain Australian settlers to expand their influence and/or protect the island of Australia from other European powers. It was the combination of these two factors that led to Sir Thomas McIlwraith, the Premier of Queensland, to order the occupation of New Guinea and some adjacent islands, ostensibly to guard the Torres Straits. The British Liberal Government led by Gladstone was reluctant to provoke German sensibilities at a particularly delicate time in European diplomacy and was loathe to take on any further imperial burderns. However, the Victoria police magistrate, Henry Chester, had already landed in Port Moresby and run up the British flag. The British and various Australian premiers had to undergo some tortuous negotiations as responsibility for the costs of administration had to be sorted out. The Australian position to annex the territory was increased as the British Liberal Party began to come under political pressure over perceived weakness with Imperial affairs as General Gordon underwent his siege in Khartoum, Sudan. The Australian premiers offered to provide much of the financing, but when the Germans claimed the Northern part of island on On 3 November 1884 (Kaiser-Wilhelmsland), this convinced the British to accept the dangers of German encroachment and declare a Protectorate on November 6th, 1884. Of course, the Germans had claimed Kaiser-Wilhelmsland due to the actions of the Victoria government in the first place. In 1886, the protectorate was added to some outlying islands and declared a colony in its own right. However, the changing political situation in Australia would severely impact on the organisation and running of the colony. 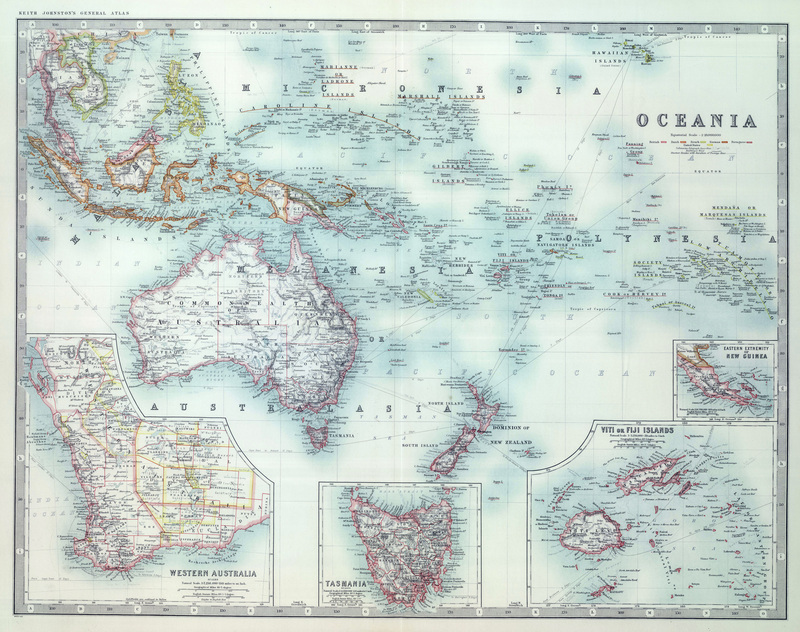 In 1901, the Australians achieved Federation and as they were responsible for the majority of the financial burden of British New Guinea, it seemed natural enough to transfer responsibility of the island to Australia. This was formalised in 1905 with the passage of the Papua Act which came into force in 1906. 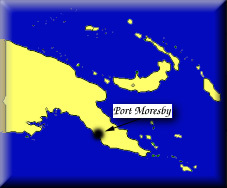 The colony was also renamed Papua Territory. Over the next decade, tensions between Britain and Germany increased and of course would help lead to the First World War. This was an opportunity for the young Australia to get involved in the conflict on its own doorstep. Australian troops quickly moved into Kaiser-Wilhelmsland and nearby islands. There was a small skirmish on September 11th, 1914 which saw an Australian Naval and Military Expeditionary Force attack a low-power wireless station near Rabaul. By 21 September the isolated German forces all surrendered. The captured German territory had actually been the more economically developed of the two colonies and this disparity was further heightened with the discovery of gold along the Bulolo River. The authorities in Papua Territory were extremely conservative and did little to encourage investment or economic development. The island would once again be affected by war as the Japanese spread through the Dutch East Indies to threaten Australia itself. Japanese troops managed to control most of the Western, Dutch controlled, part of the island and to take control of much of the New Guinea Territory. The Southern Papua Territory was shielded somewhat by the Highland mountains and the timely arrival of American troops, ships and aircraft. New Guinea would represent the highwater mark of the Japanese advance. Once World War Two finished, the League of Nations Mandate was converted to a United Nations one before amalgamating the two territories into the single Territory of Papua and New Guinea in 1949. This was still technically an Australian colony, but the British had retained certain judicial and diplomatic rights and responsibilities. Self-government was granted on December 1st 1973, and full independence on September 16th 1975. 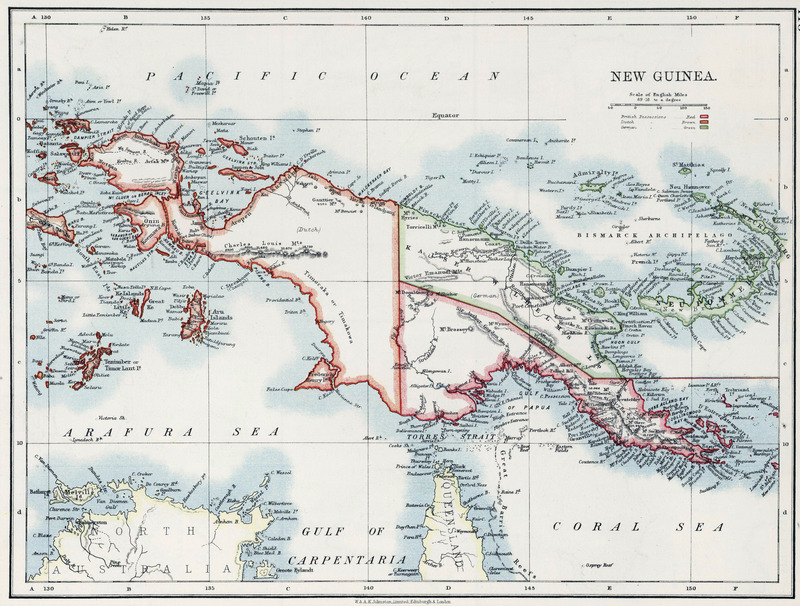 At independence there were attempts in both Bougainville and Papua to secede from the new state. The crisis was avoided only with the introduction of provincial government and devolution of some national powers to these governments. The BBC's Tales from the Commonwealth explores the legacy of the Empire for Papua New Guinea.